JRR Tolkien’s most famous and influential essay, and indeed by far the most famous and influential essay on the subject, was On Fairy Stories. This was originally a lecture delivered in 1939 at the University of St Andrew’s, Scotland; it was published in a revised and expanded form in Essays Presented to Charles Williams, 1947 and reprinted in other volumes many times since. Tolkien’s basic argument is that the author of Fantasy is creating a ‘Secondary world’ with features that are both wonderful (typically magical) and internally-consistent. And this Secondary world potentially offers a sympathetic reader the triple benefits of Recovery, Escape and Consolation. As such, On Fairy Stories serves to justify the Fantasy genre; but on the other hand it does implicitly consign Fantasy to Secondary status as contrasted with the Primary world. Tolkien presents a strong case that Escape and Consolation are legitimate wishes. However, at the end of the day these are (merely) psychological justifications – ways of saying that Fantasy makes us ‘feel better’ in legitimate ways. I believe that Tolkien’s argument can legitimately be extended to a stronger sense, which offers a ‘primary’ status to Fantasy fiction when understood in the context of the modern, mainstream world of public discourse. More specifically, I believe that Tolkien’s argument about Recovery contains the seeds of a much more powerful explanation of Fantasy being (at its best) more real than (so-called) ‘real life’. That Fantasy is (in some important respects) more real than real life I will take as an assumption rather than trying to argue; because it is something that all serious Fantasy readers already know to be true from personal experience (and it is, of course, why we continue to read Fantasy). But what is so-far lacking, and what Tolkien may be seen to imply, is an explanation for why and how it is true. I think an explanation is valuable, and perhaps necessary, if fantasy, as a genre, is to be regarded (whether by ourselves, or more generally) as more than just a pleasing pastime – as something that is of potentially great cultural importance. Tolkien’s argument about Recovery is that the material of magic, wonder, the fantastic – and the imaginative inhabiting of a different and complex but internally-consistent world – are what allow a refreshment of our appreciation. So we come to appreciate the basics of this (primary) world, now refreshed because we have come across bread, stone, trees in a new and unfamiliar context; and we also appreciate Men anew because we have met elves, dwarves and hobbits. This is true but I think it underestimates the profundity of what Fantasy can do; especially when it is contrasted with the modern world. The key to the value of Fantasy – here and now – is its contrast with the modern world: Modern ‘reality’ is most deficient in the most important aspects of Life. And this is because modern reality is, mostly and ever-increasingly, a mass media-generated ‘virtual’ kind of reality. The above list is not exhaustive – in particular the modern lack of a living and over-arching religion; and indeed lack of any spiritual reality and depth to experience – is another vital deficiency of the Primary world as we experience it in The West. But this list suffices to illustrate why, in our kind of world, Fantasy may be much more than just a pleasure or a preference. And why Fantasy does not simply enable a Recovery of appreciation for the basic essentials of Life – much more importantly, Fantasy may be our only sustained experience in which these real-realities are encountered. The staleness and superficiality of modern life is a consequence of the way in which modern reality is the product of modern theories – the ‘ideologies’ that arise from science, law, politics, sociology etc. but which we mainly learn from the mass media; and to a lesser extent from a corrupted system of formal education, corporate advertising and official propaganda. But how is it that Fantasy may be able to supply what the Primary word so horribly lacks? Well, Tolkien all-but said it – the creation of another internally consistent world of wonders provides us with stimuli, with perceptions, that do not automatically get plugged-into the subversive and inverting theories of modernism. The magic and wonders of Fantasy quite naturally and spontaneously attach themselves to our built-in, universal concepts – the mythic understandings and interpretations of the ‘collective unconscious’, or our shared divine-endowments. And it is these universal concepts which enable us to apprehend and share reality. So the fictional experiences of Fantasy are not just apparently but literally more real than everyday Life in the modern world. They are real because they are understood by means of the eternal, the universal, the Human, the God-given; whereas the Primary world is perceived, but not understood, merely by the manipulative and dishonest and ever-changing abstract theoretical ideologies of our time and place – ideologies such as the dreary incoherence of Leftist ‘identity’ politics, antiracism, feminism, economic hypotheses, anti-colonialism, and the ever-mutating lies and inversions of sexuality and the sexual revolution. In sum; Fantasy fiction (Fairy Stories) may currently be the only source of sustained and convincing ‘good metaphysics’ available to many people in The West: our only access to the eternal and universal truths of real reality – as contrasted with the despair-inducing, hope-less, meaningless, purposeless fake-realities of modern life. 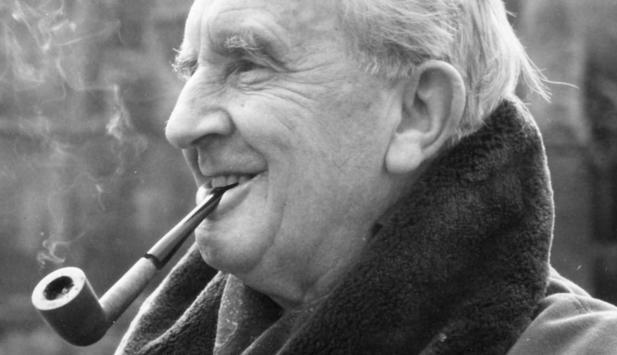 Seventy years after Tolkien’s essay was first conceived, we are in a situation that Fairy Stories have become something close to a necessity for those who want to experience Life as it could and should be experienced… even more, a necessity for those who want to live in the real world; rather than the hellish-yet-addictive media-Matrix of alternating distractions, intoxications, lust and fear which is the world of mainstream public discourse. Consequently our demonic overlords hate, hate, hate real Fantasy (and Tolkien above all) and do their best to ignore or mock it – or else they reinterpret and subvert it in terms of the incoherent tendentiousness of modern ideologies (such as those deadly meditations on racism and sexism in The Lord of the Rings…). Or else they create fake-Fantasy which incorporates exactly those false ideologies to which Fantasy offers us a Real Life alternative. Instead of wonder and magic, we get parables of multiculturalism or gender-bending… just like modern, mainstream, bureaucratic ‘real life’. I would therefore suggest that we should now drop Tolkien’s idea of Fantasy being a Secondary reality, in favour of a recognition that – at its best – Fantasy is now the Primary world. Fantasy fiction is therefore a way in which we may potentially (albeit partially and intermittently) escape The Matrix imposed upon us to our detriment; and begin living from true, universal and vital concepts: living real lives from the solid ground of universal metaphysics. ← FORBIDDEN THOUGHTS! — Do not dare read this book!